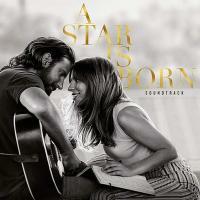 Titre(s) A Star is born [CD] : bande originale du film de Bradley Cooper / Bradley Cooper. Editeur(s) Interscope Records, P 2018. Contient Intro. - Black eyes. - Somewhere over the rainbow. - Fabulous french. - La vie en rose. - I'll wait for you. - Maybe it's time. - Parking lot. - Out of time. - Alibi. - Trust me. - Shallow. - First stop, Arizona. - Music to my eyes. - Diggin' my grave. - I love you. - Always remember this way. - Unbelievable. - How do you hear it ?. - Look what I found. - Memphis. - Heal me. - I don't know what love is. - Vows. - Is that alright ?. - SNL. - Why did you do that ?. - Hair body face. - Scene 98. - Before I cry. - Too far gone. - Twelve notes. - I'll never love again (Film version). - I'll never love again (Extended version).